What’s Happening in POS Trends for 2016? We’ll see more companies focusing on end-to-end solutions to widen their product offerings and maximize value for customers[…]No doubt, consolidation requires some adjustments on the part of the dealer, but the ultimate result of a merger or acquisition is a stronger partner that can better support its customers overall. 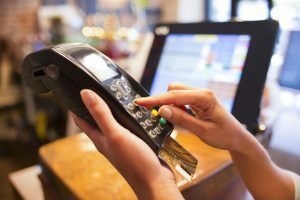 One trend that is guaranteed to keep gaining momentum is the move toward secure wireless and mobile POS systems. Businesses want the flexibility and convenience of using tablets connected to other wireless POS components so patrons don’t have to line up at a counter to complete transactions. In restaurants and eateries, the use of tablets to take orders and customer payments at tableside will become more and more popular. For an increasing number of businesses that need POS technology, the future is in wireless and mobility. 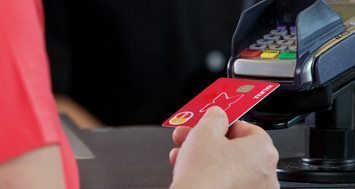 EMV (Europay, MasterCard and VISA) implementations reached a crescendo in recent months, following the Oct. 1 deadline for U.S. merchants to adopt the technology, which aims to minimize fraudulent payment card transactions. Almost two-thirds of merchants were not ready for the transition as of the deadline, but many will accelerate implementation plans to avoid getting held accountable for any fraud that could have been prevented with EMV technology. As the transition occurs, dealers must be ready to support their customers’ plans, which in many cases will require replacing POS hardware and applications – and we will be ready with cash management and cash drawer solutions to support our dealers. For questions regarding POS systems, and to find the right POS system for you, visit our website or call toll free at 1-877-580-9687.